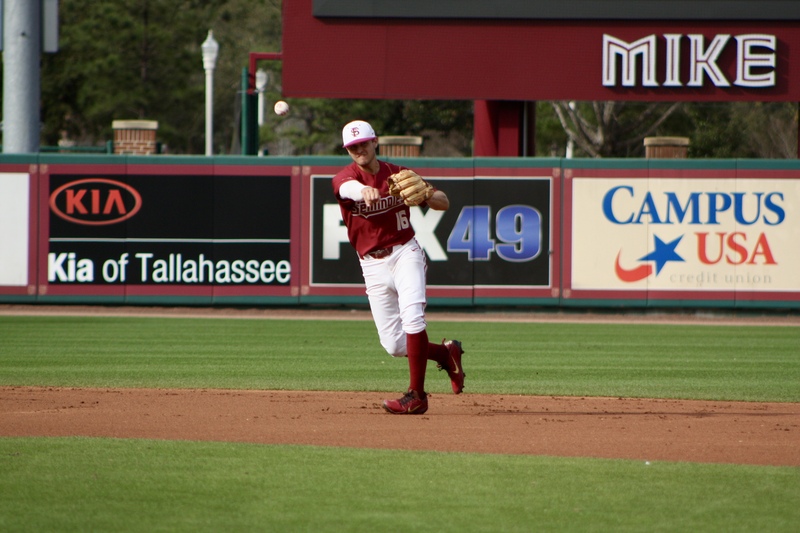 After FSU’s 8-0 loss last Sunday, Mike Martin said, “There’s going to be some changes made.” And changes did happen Tuesday night, as Nander De Sedas and Mike Salvatore switched positions, JC Flowers hit 2nd, and Robby Martin hit 4th, while Elijah Cabell hit 5th. But the changes didn’t equal any better results for the Noles, as they lost their 4th game in their last 5. FSU is just in a bad rut right now, and can’t put together a complete baseball game. Even in the game, they won this weekend, 4-3 on Saturday, Boston College thoroughly dominated them, outhitting the Noles 11-4. FSU needs more than just a couple changes, they need a whole new look in the lineup, a different approach at the plate, and better usage of the bullpen. Just to clarify, these are changes that I think should be made, not ones that I necessarily think will actually happen. FSU has scored four or fewer runs in six of the last seven games they’ve played, and the offense just seems close to dead. The Noles offense started the season out very hot, but against much lesser pitching, and since conference play has started, the Noles have really struggled. The lineup needs a whole new look to it, with changes in almost every spot. At the least, a new lineup would wake the guys up. 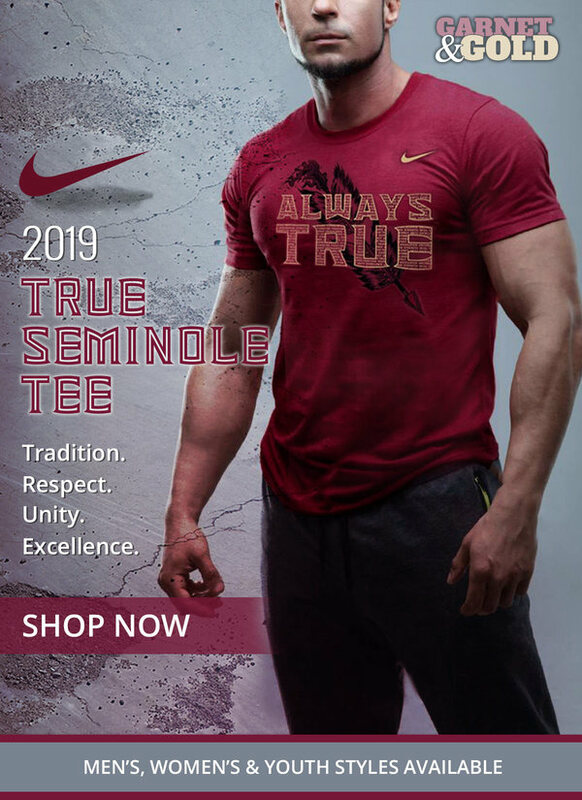 The biggest thing that needs to happen for FSU, is getting Reese Albert back and healthy. He has missed quite a bit of time this year, and whenever he’s been out the offense has struggled. FSU is an extremely talented team, but really lacks depth, and when Reese comes out, it leaves a huge hole in the lineup. With Reese back healthy, here is my proposed new lineup. Obviously, that is much different than Martin’s lineup, and I’d be surprised if he made those changes, but here’s why I think they should be made. Elijah Cabell and Drew Mendoza have really struggled as of late, specifically striking out at an extremely high rate. So why move them up in the lineup you may ask? Mendoza and Cabell are 1-2 on the team in OBP (On-base %), and at the top of my order, I would want guys that get on base. Cabell has tremendous speed too, so that helps with putting him in the leadoff spot. The biggest reason for Cabell in the leadoff spot is he will see mostly fastballs. Cable is a great fastball hitter, but in the cleanup hole, he saw tons of breaking balls, which led to many strikeouts. Leading off, and hitting in front of Mendoza, will lead to much better pitches for him to hit. A recent trend in baseball has been putting your best hitter in the 2-spot, and I think it would benefit Mendoza and FSU as well. Many MLB teams do it such as Aaron Judge and the Yankees, Mike Trout and the Angels, Christian Yelich and the Brewers, etc. Mike Salvatore, Reese Albert, and Robby Martin have been the three most consistent hitters in the FSU lineup this year, and also have the three lowest strikeout rates on the team. If Cabell and Mendoza get on base, those three hitters would be the most qualified to move the runners over and then get them in. FSU has tried three different 1B this year, and after 28 games, all of them are hitting below .200, which is really quite mind-blowing. Cooper Swanson leads the pack in OPS but has made 5 errors, leaving his defense as an extreme liability. Nico Baldor plays the best defense but has a .143 batting average. Carter Smith has seen time practicing at every position in the infield and catching this spring but has yet to produce in games, hitting just .160. He also looked extremely uncomfortable at first in the two games he played the position. Enter candidate #4, backup catcher Jonathan Foster. I’m surprised the coaching staff hasn’t tried this yet, due to the fact Foster is a veteran and has produced when called upon this year, with an OPS of .881. This is the most likely change I think could happen, and if it works, it would patch up a huge hole in the FSU offense. Late in games, you’re winning, I would sub in Baldor for defensive purposes. Lastly, Nander De Sedas should be moved back to the double leadoff. When hitting 9th, De Sedas produced at a much higher level and got on board for the top of the lineup at an extremely high rate. He’s a perfect fit for the double leadoff, and it’s also a spot where he can really develop into a stud middle infielder. FSU is a very young team, and that’s shown most at the approach at the plate so far this season. FSU has struck out at an extreme rate of late, which has made the game easy on the other team. FSU has made teams look good when they end the game with 0 errors on the box score, but that’s because the Noles strikeout almost 10+ times a game now as a team. In 12 games of ACC play, the Noles have struck out 121 times. Certain FSU players have no sense of a two-strike approach and need to learn it quick. Choke up, widen your stance, no leg kick, and swing at anything close, it’s as simple as that. If I was Mike Martin, I’d make my players bunt in their next at-bat if they struck out in their previous AB, that’s how bad the strikeout situation has become. Mike Martin has already said that the weekend rotation will not be changed, and I agree with him on that. Drew Parrish has really struggled recently, but we all know what he can do, and he was a preseason All-American for a reason, he knows how to pitch. This season, he just hasn’t had the feel of his off speed. Parrish isn’t like most pitchers who work of their fastball, he works off his curveball and changeup, and if he doesn’t have the feel for them, he’s doomed. He’s not a pitcher that can get away with just throwing his fastball when he’s down in a count, he has to get ahead and keep the hitters off balance. He knows what it takes to be an ace in the ACC, and I think he can get back to that form. When it comes to CJ Van Eyk and Shane Drohan, there are just two words that need to be said, throw strikes. They both have major league type stuff and are nearly impossible to hit when they throw strikes. Drohan has a .170 OBA (Opponent batting average) and Van Eyk has a .244, and combined the two pitchers have given up just one homer of the year. This past weekend, both pitchers walked their least amount of hitters in a single appearance on the season, leading to both giving up 0 earned runs in at least 5.1 innings of work. This rotation can dominate if they just throw strikes and execute their pitches at a higher rate. The bullpen has gotten quite a bit of scrutiny lately for losing some games, but this group has the most depth on the team, they just aren’t being put in good situations. This bullpen has three good righties (Haney, Grady, Ahearn) and 3 good lefties (Scolaro, Kwiatkowski, Velez), so why aren’t they being used for lefty-lefty or righty-righty match ups more? They also have RHP’s Gage Hutchison, Cade Hungate, and Jack Anderson and LHP Austin Pollock that can get you one or two outs if you need it in high leverage situations. Teams have done it all season against FSU, bringing in a lefty for Mendoza or Martin, or a righty for Cabell or Salvatore, and it’s worked, but 11 rarely does it. I think if the coaching starts to play those match ups more, we could see a lot more success. JC Flowers is still yet to give up a run this season, as he ERA sits at 0.00, and he’s showed he can dominate for more than just one inning. JC won’t start anymore this season on the mound, but anytime FSU has a 3-run or less lead with 2 innings to go, he should be on the hill. Flowers has elite stuff, with his fastball up to 95 and an absolutely nasty slider that he brings all the way up to 89. There won’t be many blown leads with that guy on the mound. Going into FSU’s first game with UF, the Noles’ defense was ranked number 1 in the nation, but 13 games later, FSU’s defense now sits at No. 107 in the nation. A lot has gone into this, with games getting out of hand and losing focus, but the bottom line is, they just can’t play defense as bad as they have. There’s not much you can do to change it, the players just need to stop pressing and play loose. They don’t seem to have fun much on the field, and if they were to play looser and not so pressed to make unbelievable plays, the defense would be much smoother. If FSU gets better in one area, it will affect all the rest. If hitters start to hit, pitchers won’t try to be so perfect and they will pitch better. If pitchers start to pitch better, hitters won’t be trying so hard to hit a home run every pitch, resulting in a poor at-bat. If the defense starts to play solid, pitchers won’t try to strike out every batter, and just let their team make plays. This FSU team has as much, if not more than, talent as anyone in the nation. They just have to play with a better mindset and it starts tonight. The fans have been all over this team, but if you win the Miami series this weekend and beat UF on Tuesday, it’s a brand new season with a clean slate. Long way to go, the season’s far from over.